Here’s a gallery of 18 HUD-less screenshots I saved while playing Blood and Wine – the last expansion pack for The Witcher 3. They are all from the new zone called Toussaint. There should be virtually no spoilers in these screenshots – it’s mostly just Geralt and nature. UPDATE: Since the creation of this blog post I’ve finished the expansion, saving another batch of HUD-less screenshots. I’ve overhauled the gallery with better screenshots – only four of the original ones remain. I’ve used a Jetpack plug-in for WordPress to show the gallery in a nicely tiled manner. If you’re reading this in an RSS feed, open the blog post in a new tab in order to browse the screenshots in a viewer. I had a vacation between Christmas and New Year and I managed to complete the main story of the second and last expansion pack. I was invited to a new zone by a couple of noble knights in shining armor. The new zone had a different color palette, more vibrant and saturated, and the buildings looked like something from the southern part of Europe. But to be honest it didn’t really feel all that different. The dungeons, the caves and even the big town felt like it could just as easily have been part of the main game. At least the people there were much friendlier towards Geralt. No more spitting as I passed by. The second expansion followed the trend of a harder difficulty that the first expansion introduced. I was particularly miffed at the spewing plant monsters that spawned around a monster area, confusing me with bubbling pods and forcing me to run around all over the place. Sometimes I avoided a spot in the distance because I could see those pesky plants warming up for a fight. Some of the vampire enemies, especially the naked ladies, were also a bit too tough for my liking. I think the most likely issue is that while there just has to be other life of varying intelligences around the universe given the sheer number of galaxies and stars, the odds of intelligence popping up at the same time are somewhat astronomical. Our planet’s been around for 4.5 billion years. Homo Sapiens have been around for about 200,000 years. We just started using radio for less than 150 years. There’s a not-negligible chance we may wipe out our own species with engineered disease or war in the next hundred years or so if we don’t get some backup humans off-planet. (Thanks, religious fanatics with modern weapons!) So that’s a mighty short window to broadcast to another civilization. If you look at history as a 24-hour day, even if two species pop up a couple of seconds from each other, they’ll likely miss the window to communicate with each other. 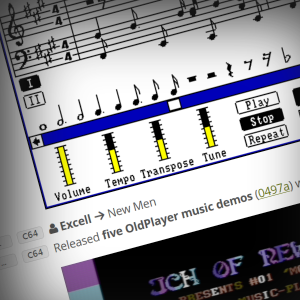 This blog post contains my early AdLib music from 1991-93. Most of it are conversions from SID tunes on the Commodore 64. These were painstakingly transferred using a basic converter program, after which I had to spread arpeggio chords into real channel chords since AdLib had three times as many channels as the SID chip did. In some cases I even added a tenth Sound Blaster channel with sampled drums. The editing was mostly done directly in the assembler listings except for a few of my own test tunes which was done in a prototype music editor that would eventually become EdLib. 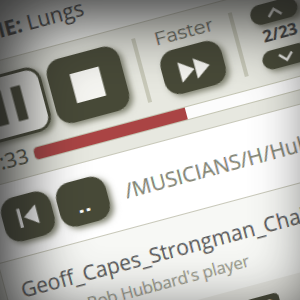 You won’t need an emulator plugin to play the tunes – they have all been saved as MP3 for easy listening. Converted from Laxity’s original C64 tune. This is the standard AdLib version. Converted from Laxity’s original C64 tune. This version features a tenth channel with digi drums. Converted from Drax’s original C64 tune composed for the game. In 1994, the side-scrolling 2D platform game Lollypop was released for DOS, and in 1995 for Amiga. It was developed by Brain Bug and released by Rainbow Arts, featuring music and sound effects by Vibrants. This blog post contains all the AdLib music made for the DOS version, saved as MP3 for easy listening. Most of it was composed by Thomas Mogensen (Drax) and Torben Hansen (Metal) in EdLib. The peripheral tunes made use of all nine channels that the OPL2 chip supported. However, the level tunes only made use of five to make room for the sound effects in the remaining four channels. Thomas Mogensen, known as Drax in the European C64 demo scene, was known for his many excellent SID tunes there, but he also made more than 180 FastTracker II tunes from 1995 to 2003. 3 Monkeys – 1 Beer! 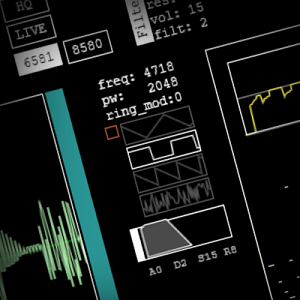 A short sine waveform tune. 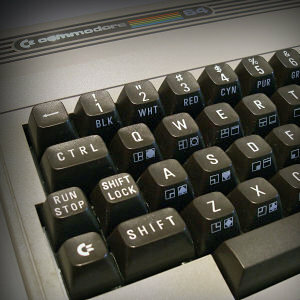 Thomas Egeskov Petersen, known as Laxity in the European C64 demo scene, composed more than 200 SID tunes on the Commodore 64 from 1987 and up, most of them in his own music player. Question: SID tunes? What's that? 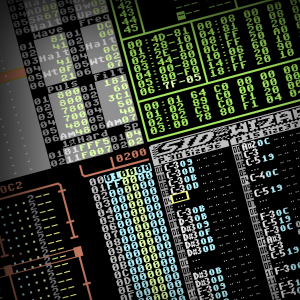 SID tunes are chiptunes created on the Commodore 64, or an emulation of the C64 or its SID chip. The SID chip in the Commodore 64 was quite advanced in 1982. It had three channels across eight octaves, ADSR, four different waveforms, pulsating on the square waveform, three ring modulators, and multi mode filtering. The music players written for it were usually called 50 times a second, quickly changing waveforms and frequencies to simulate vibrato, drums and arpeggio chords. I’ve been listening through all of Laxity’s tunes in the latest High Voltage SID Collection which was at #65 at the time of publishing this blog post. I selected more than 180 tunes I liked and created stereo MP3 files for easy listening here. You could call it sort of “Laxity’s Greatest Hits” as compiled by JCH. One of three demo tunes Laxity made to test music player v21.G4 for my music editor. Why do most PC gamers like Steam, but dislike Origin? There’s something to be said for customer consideration and there’s definitely very little of that when you only sell your games on Origin. 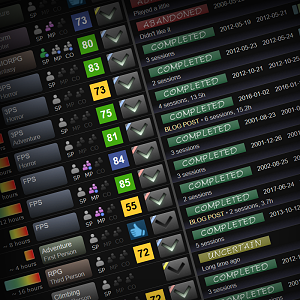 Steam is the defacto distribution platform on PC and the vast majority of PC gamers use it. Not only that but they enjoy using it. As such, it makes perfect sense to support it (which is why every single publisher does except EA). It’s simply good for customers. It’s also good for business, as your game will receive more exposure and more sales (which is why Ubisoft still sells their games on Steam, even though they have their own digital distribution platform). It’s a win-win situation. Wait, who is this JCH now? What a silly abbreviation. Just using his initials – how uninspired. Must be some kind of idiot. Anyway, it says here that he was active on the Commodore 64 from 1987 to 1992. I’ve been listening through all of my own tunes in the latest High Voltage SID Collection which was at #65 at the time of publishing this blog post. I selected approximately 200 tunes and created stereo MP3 files for easy listening here. You could call it sort of “JCH’s Greatest Hits” as compiled by… uh… JCH. Yes. The name refers to the fact that the tune plays for 42 seconds before looping. Cooperation between MSK and JCH. The bassline was taken from some pop hit by George Michael.